Metropolitan Audio Visual is dedicated to providing audio visual solutions to individuals and organizations throughout the greater Metropolitan DC area and beyond. We are motivated by the ever changing and challenging field of audio visual technology to turn our client’s ideas and goals into reality. We will take an honest and caring approach to understanding and meeting the needs of our customers. At Metro AV we value the relationships we have with our customers and believe that the key to success is being responsive and reliable. We will not hesitate to jump from our seats to come to the aid of a customer in need. Call us today for a free consultation. We have the tools and knowledge to find an Audio Visual solution to match your needs and budget. Originally established in 1967 as an equipment sales and repair firm, Metropolitan Audio Visual was rebranded in 2008 with a focus on systems design and integration. 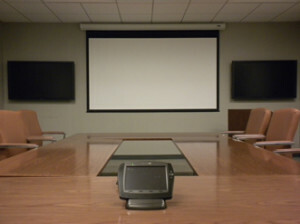 Our specialty is simple, easy to use AV solutions that are cost effective for businesses in the Washington DC market. We enjoy what we do and hope that you will give us the opportunity to show you what we can do for your organization today.